Penny Brennan rode Vertigo Delorme to the High Point Grand Prix Circuit Award during the Gulf Coast Winter Classic. Photo Alison Hartwell. Gulfport, MS - April 5, 2019 – Professional Penny Brennan of Buhl, Alabama, took the Gulf Coast Winter Classic by storm, earning the High Point Grand Prix Circuit Award with her Vertigo Delorme. Brennan hit the ground running when she arrived for week 2 of the 7-week series at the Harrison County Fairgrounds in Gulfport, Mississippi, and made sure competitors had to lace up to keep up with the master of faster, as she showed her trademark jump off skills in the grand prix field week after week. Brennan kicked off the Gulfport series with back to back wins in the $7,500 Gulf Coast Winter Classic Welcome and the $25,000 Purina Grand Prix with her 10-year-old stallion, Vertigo Delorme, sired by Chacco Blue. 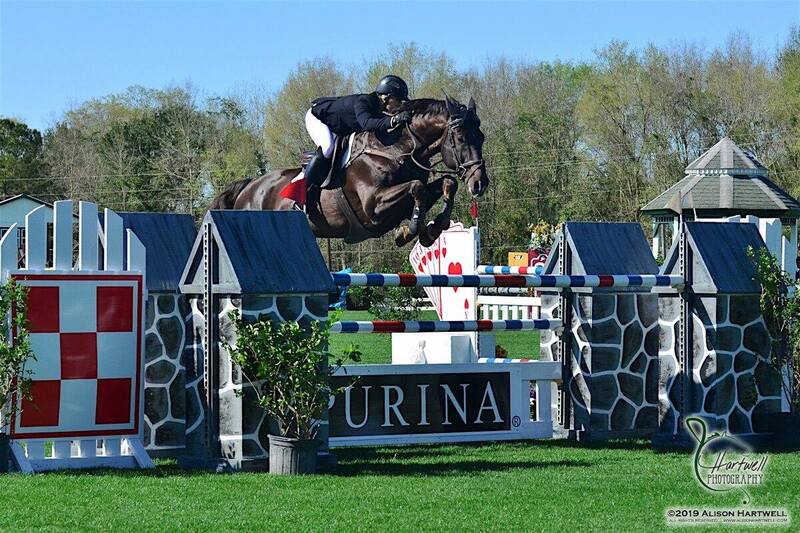 Brennan partnered with Laurent Dupre last April and imported the horse from France. She also rode to speedy second place finishes in the grand prixs weeks 6 & 7. 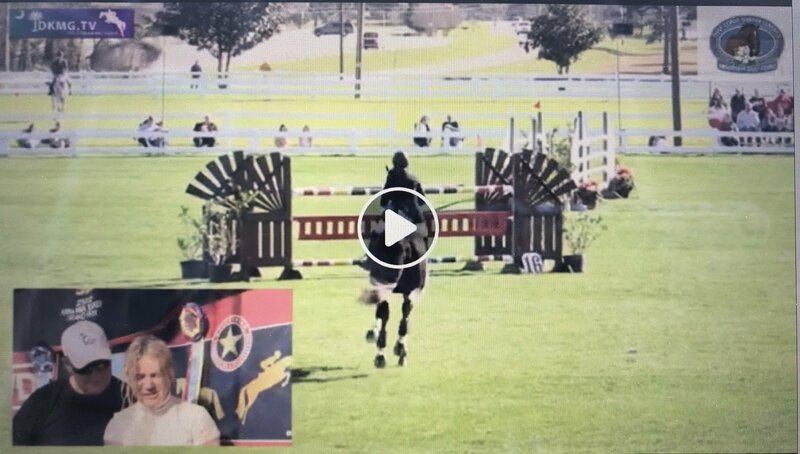 “He jumps a foot over everything and has an 18’ stride. In the last line of the prix it walked a ten (strides) and I did 8!” laughed Brennan. Brennan plans to start the stallion in some FEI classes perhaps in Santa Fe or Colorado this year. Her goal is to keep moving up and hopefully add another FEI horse to the mix. Brennan, originally from Nottingham, England, represented Great Britain as a junior rider, earning two gold medals on the Junior European Team. 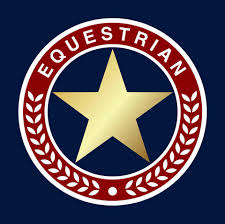 Her career continued moving into International venues such as Hickstead, Wembly, Birmingham International, Palm Beach International, Old Salem, Spruce Meadows, and the World Cup Qualifiers in Canada. Brennan has had great horses such as Japan and Sun Tzu that have brought her to the winner’s circle numerous times. Penny Brennan and Sun Tzu claimed victory in the $5,000 Gulf Coast Open Jumper Classic three times out of five. Photo Allison Hartwell. Brennan also brought her long time mount, Sun Tzu, now 16-years-old, and claimed victory in the $5,000 Gulf Coast Open Jumper Classic three times out of five classes. The pair have a lengthy resume, which includes the win in the $35,000 Budweiser Grand Prix in 2016, the $15,000 Old Salem Farm Speed Derby III, the $24,975 PJA Grand Prix and 5 welcome stake wins just to name a few of his accomplishments. 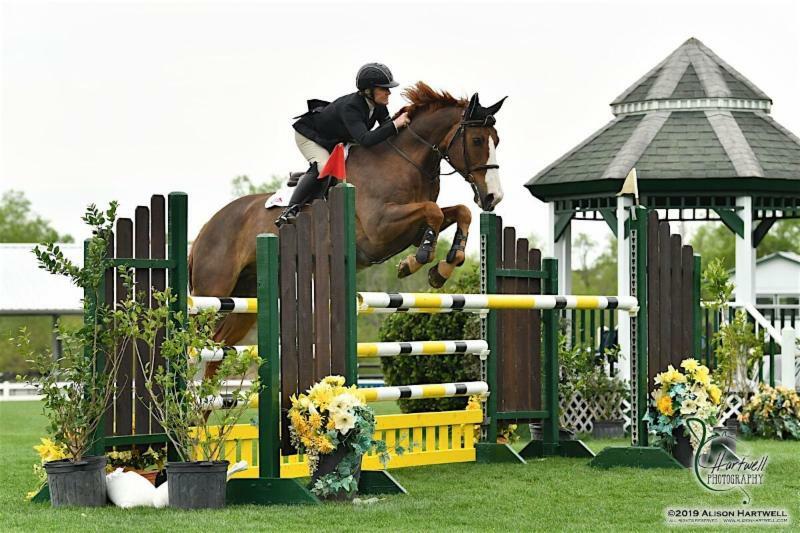 In addition to riding, Brennan also trains hunters and equitation riders along with jumpers in all divisions at her farm, Penny Brennan International. Brennan was adamant that she could not do all this without her team of sponsors. “Fabbri boots are comfortable and stylish plus if you happen to lose a stirrup you stay connected. 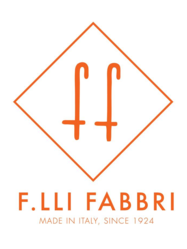 They offer the perfect fit, excellent feel, best of all – all parts of "FABBRI boots" are absolutely natural; not plastic or synthetic materials that could cause a weariness with an enduring use. IRH is the best looking helmet that never slips. Safety first but I LOVE my bling helmet! Purina keeps the horses in top athletic health and mind for consistent performance. 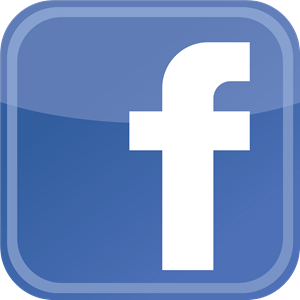 They offer a wide selection of feeds to fit your needs. Finishline has great products for my horses, most products are FEI approved. The supplements keep the digestive system functioning the correct way and their coats shiny. It really helps their muscles to maintain peak performance. 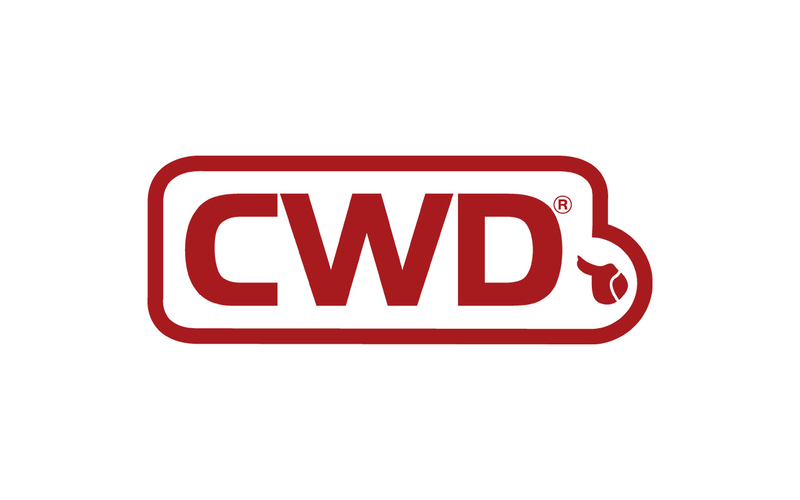 CWD is the world’s best saddle. “Simply the best.” I wouldn’t ride in anything else. EQ Star is comfortable and stylish everyday equestrian wear. 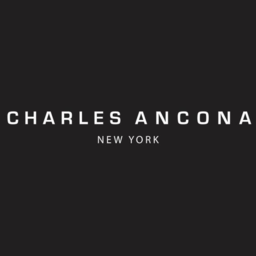 Charles Ancona keeps me in top style with jackets that I enjoy wearing. He makes me look like a rockstar! I love everything from him, it’s all I ever wear! SMJtack provides top quality custom comfort bridles. "These are all amazing products.They do so much for me and I just want to say thank you to them for all they do,” added Brennan. For more information or to contact Penny Brennan, visit the website at www.pennybrennaninternational.com, or email PennyBrennanInternational@mail.com.